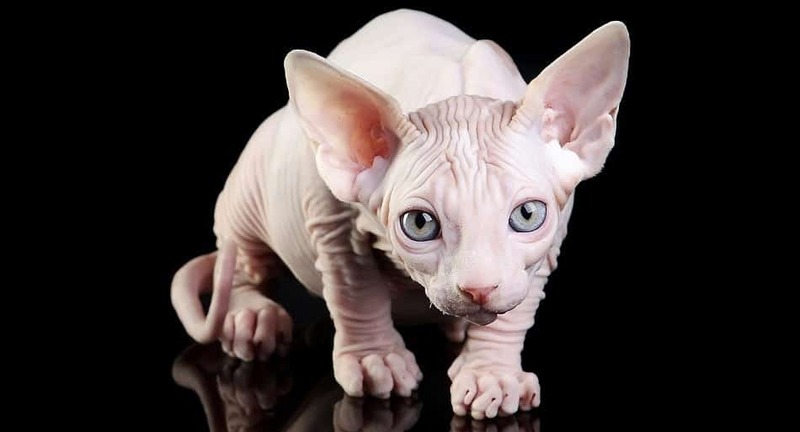 The Sphynx is a medium-size cat typically weighing 6 to 12 pounds. This type of cat likes to explore his surroundings, climb a tree, chase bugs. It also likes playing with teaser toys and puzzles that challenge its wily nature.